Kyoto is famously known as a heritage city and the best destination for those who are looking for an authentic Japanese culture. There are many sites in Kyoto that you must visit while you are in Japan. There’s Kyoto Imperial Palace, Kinkaku-ji, Nijo Castle, Ryoanji Temple and many more! What is more interesting is that there are many festivals conducted by the community throughout the year. From fireworks and bonfire events, archery competition, geisha performance, Ukai fishing, to a long parade. So are you excited to check them all and be part of the locals? Here are thirteen festivals in Kyoto you could attend in 2017! The new year is the most important event in Japan, it is just like Eid ul-Fitr for us, where families gather and visit the temple to pray. This is what Japanese called as Hatsumode, the first shrine visit of the year. Before entering the shrine, people will wash their hands and drink water at the entrance as a purification ritual (their version of wudhu?). After that, they will queue to ring the bell in the temple and pray for all the good things to happen in the new year. People will also bring their offerings to the temple such as sake, rice, Chinese white cabbage, Mochi, and many more. You can visit all the big shrines in town to check this festival but we recommend you to go to the famous Fushimi Inari Taisha Shrine. Toshiya is an annual archery competition held in Sanjusangendo temple (Japan’s longest wooden structure) in Kyoto. The contest was inspired by a Samurai in 1606 that shoot his 100 arrow on the entire length of the temple and he hit the target 51 times. The participant will have to shoot an arrow for 60 meters long, the half-length of the building. A number of 2,000 women archer will compete in this festival. They will dress in Kimono while shooting their archer, a sight that you won’t see everyday. You can watch the participant shooting their arrows during the competition from the veranda of the temple. 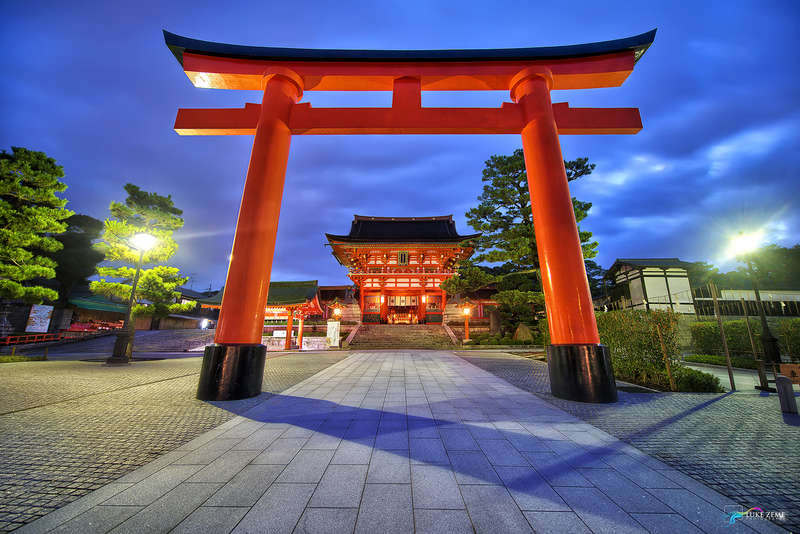 Kyoto was the capital of Japan for more than 1000 years before it was moved to Tokyo in 1869. This event was created by the communities 4 years after the movement of capital in Gion Kaburenjo Theater. Miyako Odori or literally translated as The Dance of The Capital is a dance show performedby Geiko (Geisha from Kyoto) and Maiko (apprentice of Geiko). Geiko is the title given to women who are trained to traditional dance, music and calligraphy as well as to behave with grace and elegance. 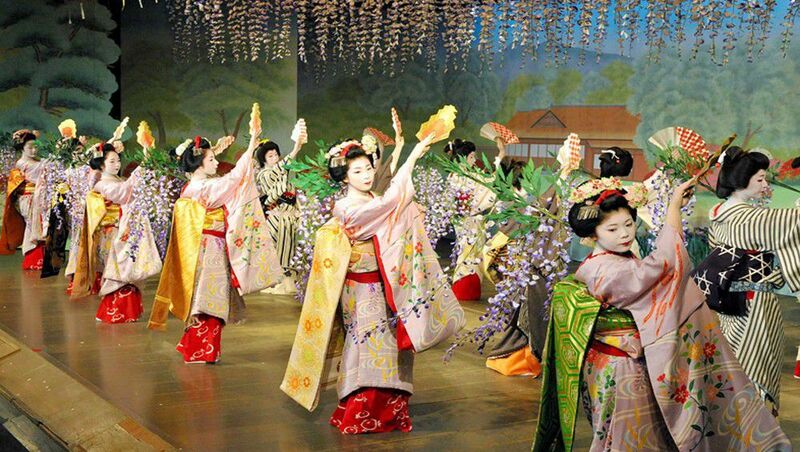 The performance in Miyako Odori is not only restricted to dance but sometimes will also include singing and mini drama accompanied by traditional Japanese instrument. A small tips from us, be there one hour prior to the show so you get to wander around the beautiful garden in the theater area. Similar with Miyako Odori, Kamogawa Odori is also a dance performed by Geiko and Maiko. 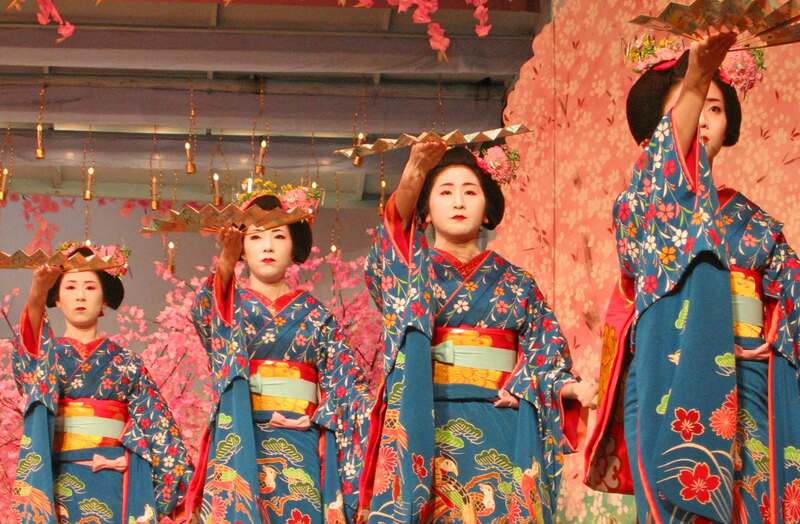 The show is held in Pontocho Kaburenjo theater and was started back in year 1872. The dance performance features historical stories about Kyoto and Japan. Sometimes male player also take a part and act as Samurai. The show last for 1 hour 15 minutes and closed with the appearance of all geiko wearing kimono and twirling around the audience. This is a very grand show and very popular among the locals and tourists. We recommend you to reserve seat prior your arrival to Kyoto. If you ever wonder how was the ancient Japanese dressed hundreds years ago, Aoi Matsuri will answer your curiosity. 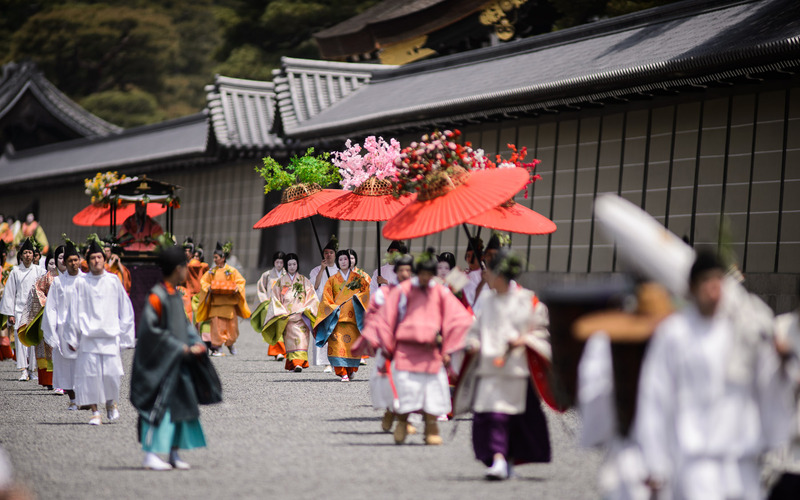 It is a large parade with more than 500 people dressed in the Heian Period (794 – 1185) costume and traditional make up walking from Imperial palace to Kamo Shrines. Aoi Matsuri itself literally means Aoi (hollyhock) leaves. It is named after the leaves as they are used as ornaments on the people’s, cow’s and horse’s costumes. The main highlight of the parade is the group of woman accompanying the imperial princess serving the deities. The princes proxy must dress in imperial court costume with 12 layers of kimono which weigh more than 30 kg. We recommend you to watch this festival from Shimagamo & Kamigamo Shrines as you would have a perfect sight of the parade from these spots. Mifuni Matsuri is the recreation of Imperial boating party in Kyoto from 1000 years ago. Generally the festival are divided into three parts; ceremony in Kurumazaki Shrine, boat parade to the Oi river, and performance on the boats itself. The participants dressed and put make up like the people in Heian Period and rides around 20 boats and each boat has their own role. There are boats that carries musicians to play music, another boat carrying dancers to conduct performance, and a different one carrying people reciting poetry and the list goes on. It is quite interesting and a valuable experience to see people dressed in ancient costumes riding the dragon-like boat. If you loves fishing with your modern hook, this fishing festival is a must try when you are in Kyoto. You can see the ancient style of fishing which uses trained cormorants to catch river fish with the light of bonfires or known as Ukai. You can even ride the boat along with the fishers and enjoy their fresh haul from the river on the food stall boat. However if you want to watch the fishing for free, you can sit along the river and observe from above. Gion Matsuri is one of the most famous festival in Japan. The festival has taken place for almost 1200 years and attracted thousands of tourists. It is a month-long festival held in Kyoto every July each year. The whole month is filled with many processions, traditional performances, summer yukata, ancient ceremonies, and fun activities. The main highlights of the festival are the parade on 17 July called Junko and float procession on 24 July called Ato. On 17 July, 23 huge Yama and Hoko (procession) is held around the city from Shijo-Karasama intersection and end at Oike-karasuma intersection. While on 24 July, features 10 remaining Yama Hoko. Who doesn’t love Hanabi (fireworks)? even Katy Perry loves it! Japan is a country with a huge passion of fireworks. There are hundreds of Hanabi events across Japan during the summer season. The locals will attend Hanabi wearing traditional yukata and summer kimono or Jinbei. 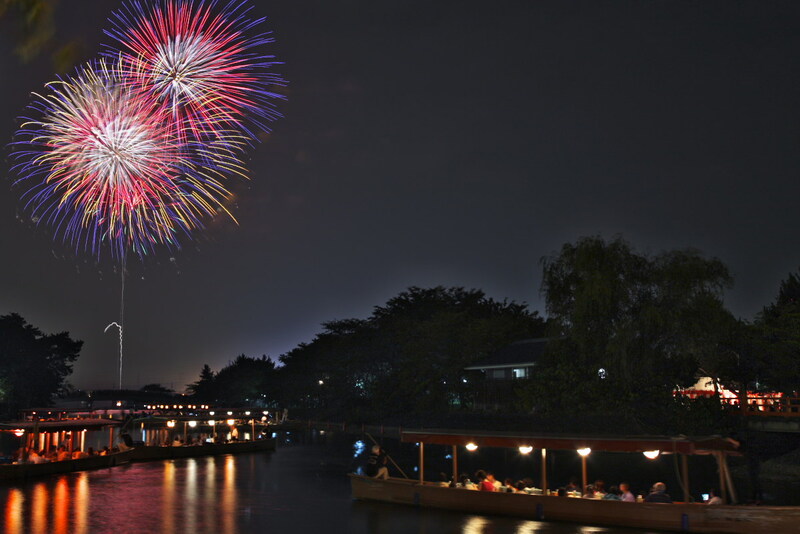 Uji Hanabi is one of big Hanabi event with more than 7,000 fireworks with 70 different shots will lighten up in the clear sky of Uji river in Kyoto. 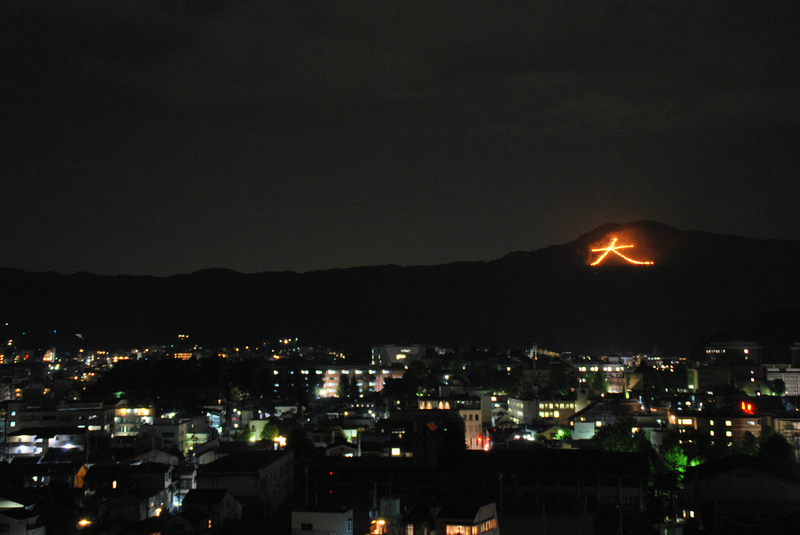 Daimonji Festival is an annual event held on the night of 16 August in Kyoto where the gigantic chinese letter and other characters are illuminated by fires on the sky of Daimonji mountain. The bonfires are so huge that you can see it from any point in the city. You should be ready to watch the bonfires at around 8pm, there are five bonfires in total and all will be alight at around 8.30 pm. Daimonji itself is a mountain in Kyoto which offers a great sight of the city, you can even see Osaka from here. 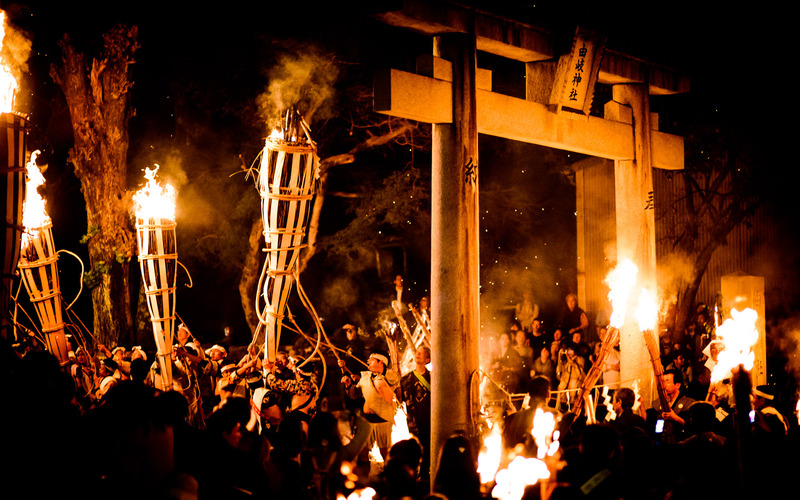 Each year on the night of 22 October, more than 10,000 people come to Kyoto to see the burning parade of 250 torches in Yuki-jinja Shrine at the Village of Kurama. The kids are carrying small torches while the adults hold huge pine of torches which weight of more than 80kg. Yuki-jinja Shrine itself has a breeze natural landscape to view autumn season on early November. This festival was created to enact the scene of welcoming Kami deities to the village. The main highlight of this festival is the 3-meter long torches placed all over the street during that night. Jidai Matsuri or directly translated as Festival of the Ages was started on 22 October 1895 celebrating the date when Emperor Kammu entered Heian-kyo. It is among the most important festivals in Kyoto. 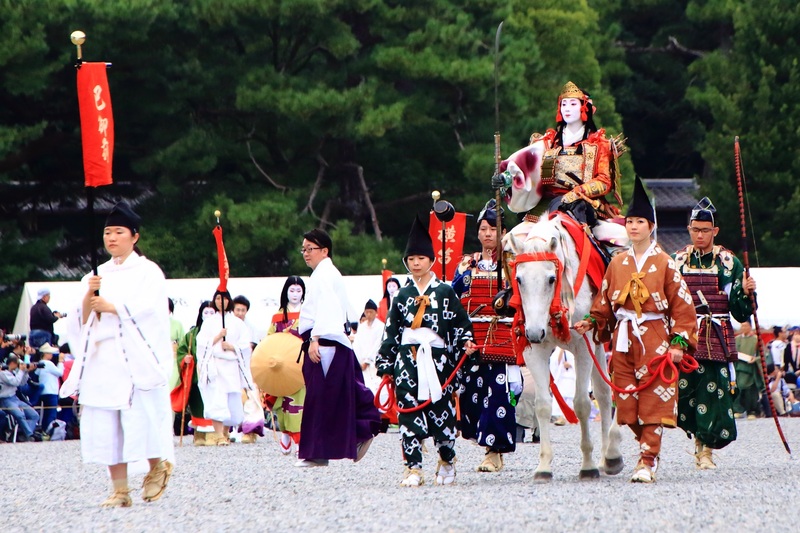 The festival features a huge parade of more than 2,000 participants (including 2 cows, 70 horses, and carriages) starting from Imperial palace and walking through the main streets of Kyoto for about 2 hours with a total distance of 4.6 Km. The highlight of the festival is the Jidai Hyoretsu (historic pageant), the Mikoshi (portable shrine), and the people wearing an ancient costume representing 1,200 years history of Kyoto. All this time you could only see maple leaves on movies, now that you are in Japan why not checking the awesome autumn maple festivals in Kyoto? In Japan, people always visit sites and areas that have maple trees to see the maple leaves that turn red. 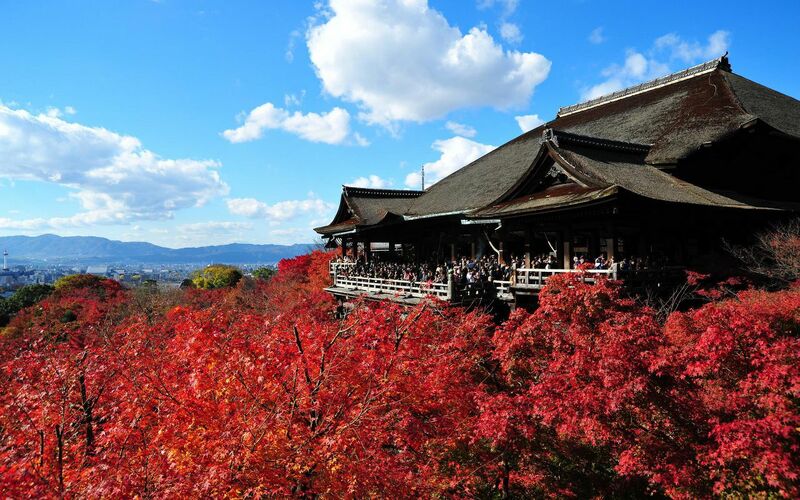 The best spot to get this red scenery is from the veranda of Kiyomizudera Shrine! The outside garden of this temple is full of maple trees which turn everything into a beautiful red when autumn comes. You surely don’t want to miss uploading a picture of yours with this pretty scenery background. So which of the festival has the closest date with your trip to Japan? Stay tune in our blog as we will update more info about the travel destination, travel tips and everything about Japan! Don’t forget to download our apps to assist you while you are traveling there. You can bookmark halal restaurant above and you can view it back later to navigate you to the restaurant from the festival you attend! Your Only 8D7N Muslim-Friendly Itinerary to Jeju Island!